This is the logo of the Schappes Defense Committee. The group was formed shortly after City College English instructor Morris Schappes was sentenced to prison for failing to divulge the names of his fellow communists on the faculty at CCNY. At a March 1941 hearing before the Rapp-Coudert Committee, a New York State organized communist-hunt group, Schappes freely admitted his communist ties. However, when state officials demanded he name other party members at CCNY, Schappes claimed there were only ever four others: three of whom had been killed in the Spanish Civil War and another that had already left the school. Testimony from an ex-communist, turned friendly witness, contradicted Schappes' claims and so the English instructor was tried for perjury, convicted and sentenced for up to two years in prison. He would ultimately serve thirteen and a half months before his release. Following his conviction, activists protested with many viewing his imprisonment as punishment for his political opinions. 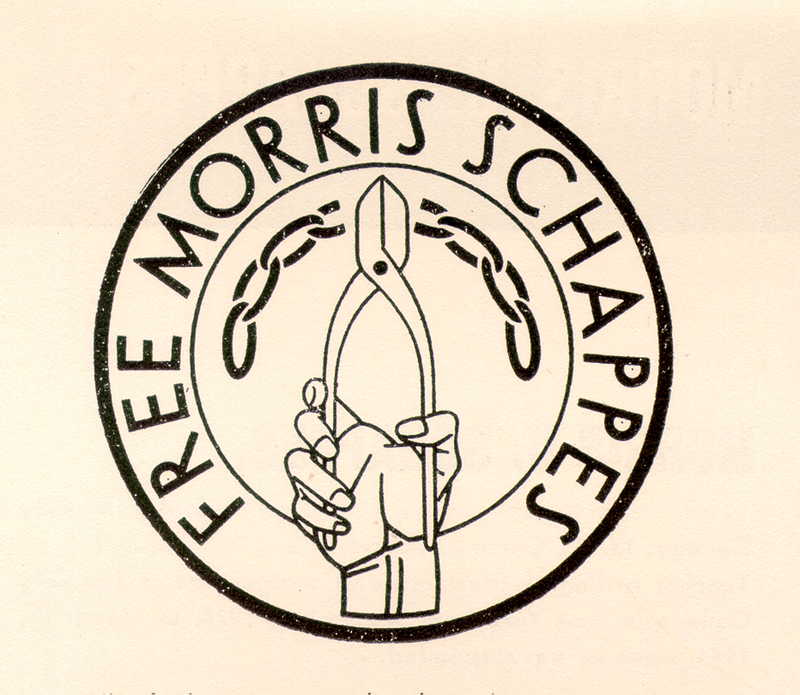 Cite This document | Schappes Defense Committee, “"Free Morris Schappes",” CUNY Digital History Archive, accessed April 25, 2019, http://cdha.cuny.edu/items/show/3902.